Anita Ramasastry is the UW Law Foundation Professor of Law at the University of Washington School of Law in Seattle, where she also directs the graduate program on Sustainable International Development. She is also a member of the Law, Technology and Arts Group at at the Law School. Prior to joining the University of Washington faculty, Professor Ramasastry was a staff attorney at the Federal Reserve Bank of New York. Ramasastry graduated with honors from Harvard Law School and clerked for Justice Alan B. Handler of the New Jersey Supreme Court. She has also practiced law with the international law firm of White & Case in Budapest, Hungary, and served as an assistant professor of law and law reform associate at the Central European University in Budapest, Hungary (founded by financier George Soros). She has been a consultant to the World Bank, the US Department of Commerce, the European Bank for Reconstruction and Development as well as the United States Agency for International Development. Ramasastry writes on law and technology, consumer and commercial law, and international law and globalization. 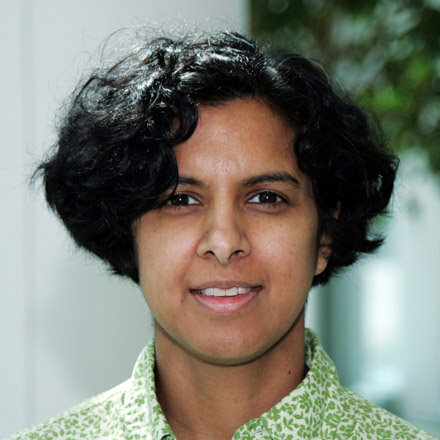 University of Washington law professor Anita Ramasastry discusses “Greyball,” a private tool Uber reportedly used to identify government inspectors and prevent them from hailing a ride. Ramasastry explains the dangers inherent in allowing minimally regulated private companies such as Uber to have such great power over integral services like transportation, and she calls for greater scrutiny into businesses with such significant market power. University of Washington law professor Anita Ramasastry comments on recent legislation in France recognizing a “right to disconnect” to help workers establish work–life balance. Ramasastry argues that while laudable in its attempt to address changing social behaviors, legislation might not be the best way to address this growing problem, and it almost certainly would not work in the United States. University of Washington law professor Anita Ramasastry discusses a new type of mobile app that maps illness in much the same way other apps map weather patterns and warns of the privacy implications these apps pose. University of Washington law professor Anita Ramasastry discusses a proposal tentatively approved by the U.S. Department of Transportation that would allow airlines to collect consumers’ personal data for the purpose of personalizing fare quotes. Ramasastry cautions that the proposal has significant privacy and discrimination risks and that we need more information, more transparency, and better safeguards before proceeding with it. University of Washington law professor Anita Ramasastry discusses the crypto-currency Bitcoin and how different authorities have come to different conclusions as to whether it is money. Drones as the New Peeping Toms? University of Washington law professor Anita Ramasastry discusses the growing personal use of unmanned aerial vehicles (colloquially known as drones) by individuals for spying and other nefarious reasons. She points out that most attention toward drones has focused on their use by the government, but their use by private citizens is increasingly becoming a concern. She discusses existing laws that might cover their use and proposes other ways the law can protect our privacy from individuals with high tech equipment like drones. Hewlett Packard (HP) has unveiled a new mobile app that retailers can use to stalk people as they shop, to send them targeted ads and promotions. Called SmartShopper, it was unveiled at the Interop conference in Las Vegas at the end of March. It has the ability to send location-based smartphone offers to customers’ iPhones in real time. Promoted by Meg Whitman, CEO of HP, as a way for retailers to monetize their networks and build “tighter relationships with their customers,” this is not the first time that so-called stalker apps have been in the news as being intrusive of consumer privacy. Here, Justia columnist and U. Washington law professor Anita Ramasastry looks at two recent examples of so-called stalker-shopper apps, and legislative attempts to address these new ways of tracking our movements and behavior. Justia columnist and U.Washington law professor Anita Ramasastry comments on the question whether Bitcoin—a so-called virtual peer-to-peer currency—should be regulated by the U.S. and/or States within it. (Along with the Treasury Department, California and New York are also contemplating possible legal or regulatory measures regarding Bitcoin.) Ramasastry looks at recent attempts to extend legal recognition to Bitcoin, and explains why she believes this is a good thing. She adds that while it may be good to clarify that legitimate businesses and consumers may use Bitcoin, it may be too early now to determine what, if any, further measures are needed to provide consumers with needed safety with respect to their Bitcoins. Justia columnist and U. Washington law professor Anita Ramasastry comments on a possible regulatory issue regarding Spokeo, which bills itself as a people-finder service. Spokeo warns subscribers that they cannot use its information to make decisions about a person’s employment, to make a credit determination, or to put the information to uses that would be covered by a federal law known as the Fair Credit Reporting Act (FCRA). But as a recent lawsuit illustrates, Spokeo’s data may be being used for such purposes, regardless, raising the possibility of the need for better safeguards. Justia columnist and U. Washington law professor Anita Ramasastry comments on a situation involving Mike Seay and his wife, who have been mourning the loss of their daughter, Ashley, for just under a year. Last week, the Seays received an unwelcome reminder of Ashley’s untimely passing in the mail: It came in the form of a flier from the office supply store OfficeMax, addressed to Ashley’s father, in these words: ”Mike Seay, Daughter Killed in Car Crash.” In addition to that egregious incident, Ramasastry also discusses the growing phenomenon of data aggregation, and the fact that the large-scale collection of data leads to harmful consequences for consumers when companies keep tabs on us in ways that are unrelated to our ordinary commercial transactions, as the Seays painfully learned. Justia columnist and U. Washington law professor Anita Ramasastry explains how even a massive data breach like the one Target recently experienced may not lead to a winnable lawsuit, although it has sullied the company's reputation. FTC action may possibly ensue, but class actions may not work in this context, for reasons that Ramasastry explains. Justia columnist and U. Washington law professor Anita Ramasastry comments on school districts' sharing student data with private companies that manage various functions for the districts. How did this happen? Because, Ramasastry notes, in recent years, Congress has made changes to the Family Education Rights and Privacy Act (FERPA) that have created a potentially broad loophole regarding who has access to student data. Justia columnist and U.Washington law professor Anita Ramasastry comments on the world of big data, in which, as our data gets resold, recombined, and repurposed, we often have little idea what companies have data about us, where a given company may have initially obtained that data, and what that data will be used for in the future. Ramasastry argues that regulation in this area is sorely needed, and discusses the recent GAO report on the issue.